Sue gained her first degree in biology and Chemistry from Keele University, UK and then studied for her PhD at the University of Birmingham Medical School where she was furthering the understanding of chronic inflammation. Cell biology postdoc positions followed at the Universities of York and Newcastle where she worked in the fields of cancer research and skin diseases. After this Sue was a manager in global academic publishing, generating new products and managing substantial concerns such as the journals of the Royal Astronomical Society and the British Ecological Society together with other scientific society journals such as Free Radical Research. 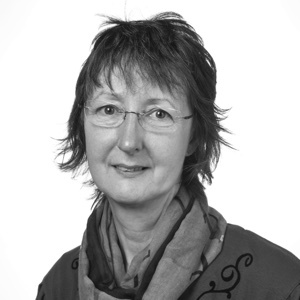 Sue has worked in learning and development for over 15 years, as an independent consultant, training manager for the John Innes Centre and Head of Learning and Development at the Springboard Consultancy. Her specialist skills lie in training trainers, women’s development and the harder skills of personal change and development that bring success to human interactions, leadership and management. Sue has worked with women across the world to help them build confidence, value what they have to contribute to the world and create their own version of success. When she is not working Sue will be found on a mountain, either climbing up it or skiing down it.